Deccan Odyssey’s Maharashtra Wild Trail journey offers memorable moments at the amazing destinations. Meticulously designed itinerary help you soak-in the comforts of the Indian luxury train and take you to the vineyards of Nashik, enthralling Pench National park and historic Ajanta and Ellora caves. Come close to nature by embarking on a journey like no other! 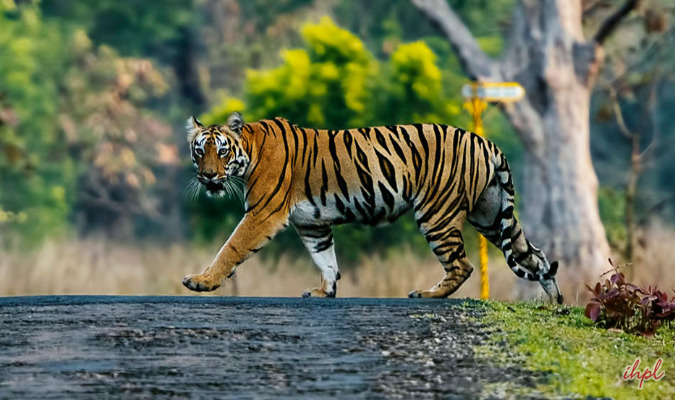 Feel the thrill to spot Royal Bengal Tigers at the Tadoba Tiger Reserve. The 8 days long tour help you make the most out of your luxurious holidays. A bliss for wildlife and photography lovers, the Maharashtra Wild Trail journey is a superb way to create memories of a lifetime. Guests assemble at Chhatrapati Shivaji Terminus at 1530 hours and complete all formalities related to check-in and registration. A traditional welcome awaits the guests, which is followed by refreshing welcome drink. As all the guests board the luxury train, it then chugs off for Ellora Caves. Dinner to be served onboard. Stay overnight in the train. The day begins with scrumptious breakfast onboard as the train reaches Aurangabad Station. 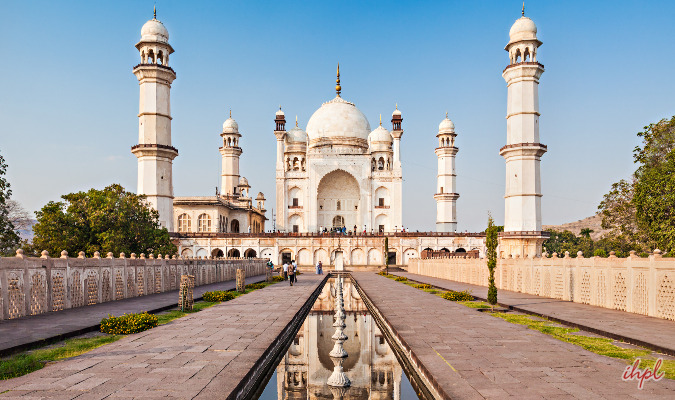 Aurangabad is named after the great Mughal Emperor Aurangzeb and still has that beautiful charm of the Mughals. Many forts like Bibi-ka-Maqbara and Daulatabad Fort combine to paint a beautiful picture of the past. Aurangabad is mainly popular for being in close to Ellora Caves, the world-renowned UNESCO World Heritage. Morning is to be spent at leisure. You can also indulge in rejuvenating therapies in a five-star hotel. De-board the train after an early-lunch and proceed to Ellora Caves. Ellora Caves are a UNESCO World Heritage Site and comprise of 34 rock-cut shrines dedicated to Jainism, Buddhism and Hinduism. Considered among the best rock-cut architecture, Ellora Caves is a popular attraction of India. One of the most popular structure here is the Kailash Temple which has many spires, tallest of which depict the Mount Kailash, the Adobe of Lord Shiva. After Ellora Caves, Dualatabad Fort is in the list. The Fort is settled on a conical hill and dates back to 100 BCE. There are many caves here as well, having many similarities with Ajanta and Ellora Caves. Return to the Deccan Odyssey and relax. Freshen up and leave for the city in order to have dinner. Overnight stay onboard. Enjoy your leisure breakfast and then proceed to the Old City of Aurangabad. First highlight of the day is Bibi ka Maqbara, the replica of Taj Mahal. This mausoleum belongs to Aurangzeb's wife, Dilras Banu and was built by her son Prince Azam Shah. It is also known Taj of the Deccan and was meant to outshine the Taj, but couldn't. After this, witness the process of weaving Himroo fabric in a facility. Aurangabad, other than its historical structures, also is famous for Himroo, the fabric that's similar to Kum Khwab, which was popular before Himroo. Persian designs are embroidered in the fabric using gold and silver thread. Later, return to the comforts of your luxury trains and get ready for lunch that is to be served onboard. Rest of the afternoon can be spent by indulging in recreational activities offered by the Deccan Odyssey like lounge, dining or spa. In the meanwhile, Deccan Odyssey embarks for Ramtek for Pench National Park. Guests enjoy sun-downer at Deccan Odyssey's dining Mumbai Hi, followed by dinner. Stay overnight in the luxury train. On this day, the train arrives in Ramtek, near Pench National Park. Leave for Pench National Park in the morning and prepare yourself for an enthralling game drive. Renowned for being habitat of rich flora faun and avifauna, Pench National Park is spread over an area of 257 km sq and is roughly divided into two halves by the Pench River that babbles through it. Though the Pench National Park is a Tiger Reserve but you can also spot animals like barking deer, wild dogs, chital, jackals, gaur, sloth bear and many others.As per the records there are 33 species of mammals, 50 fish species, 164 species of birds, 30 reptile species and 10 species of amphibians, residing here. Once done with the game drive, return to the train for brunch. Freshen up and leave for yet another game drive. There are four different regions of the forest, all of which are bestowed with nature's mystique. Not just for animal spotting, Pench National Park is also known for being a bird-lover's paradise. Return onboard and relax. Dinner is served onboard as the train chugs off Tadoba. Stay overnight in the train. As the train stations at Chandrapur Station, you hop-off and leave for an early-morning safari to Tadoba Tiger Reserve which also is called the Land of Tigers, mainly because of its rich population of tigers. Other than spotting tigers, you have fair chances of catching the sight of leopards, wild-dogs, gaurs, ratels, sloth bear, and many types of wild pigs, deers etc. Breakfast is arranged in the Tiger Trails Lodge after which guests head for watching a wildlife documentary and interacting with naturalists. Lunch too is to be served at the Lodge and then they drive back to the comforts of the luxury train. Board the train, relax or maybe sip in some cocktails served by the bartenders. After this, dinner is served onboard as the train leaves for Jalgaon for Ajanta Caves. Stay overnight in the train. 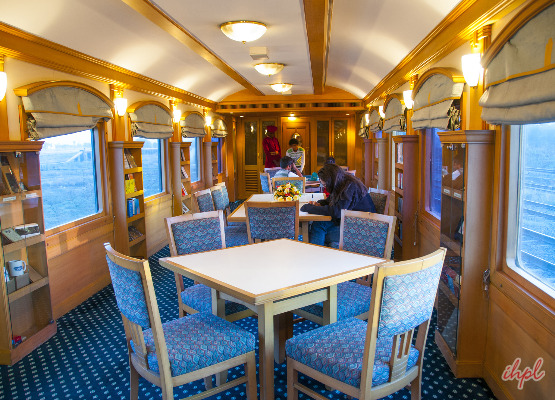 The luxury train reaches Jalgaon Station in the morning and the breakfast is served onboard. Freshen up and proceed to visit the popular Ajanta Caves, a UNESCO World Heritage Site, which also is an epitome of brilliant rock-cut architecture. The monuments date back to sometime between 2nd century BCE and 480/650 CE and consists of 30 caves associated with Buddhism. There are many paintings and sculptures inside that catch the eye and depict different tales like Jataka. Afterwards, return to the comforts of luxury train and have lunch as it departs for Nashik. You can spend the day making the most of on-board amenities which is not confined to televisions. You can play indoor games or go in for a refreshing spa session as well. Sip in sundowner and enjoy the rural panorama passing by swiftly. After this, dinner is served onboard. Stay overnight in the train. The train finally reaches the Wine Capital of India, Nashik, in the morning. Breakfast is served onboard and you then embark for a peaceful stroll along the Godavari Ghats as the tinkles of bells installed in the Hindu temples of the vicinity soothe your senses. As it is surrounded by many Hindu temples you can watch holy rituals being performed. Later, spend sometime in the Wednesday Market, which has everything from freshly caught fish to cow dung cakes. After this, take a tour to the vineyards of Grover Zampa, which is counted among the best vineries of India. Even if you are not fond of wine, a walk through the area is an engaging affair. And if you are, you get to taste the finest wines. You can have them as is, or create your own by mixing the ones you like as you have lunch. Return the train after lunch, as the train leaves for the final destination, Mumbai. Reach Mumbai early in the morning. The train stations at Chhatrapati Shivaji Terminus and breakfast is served onboard. You receive a warm farewell from the crew and proceed for your onward journey. 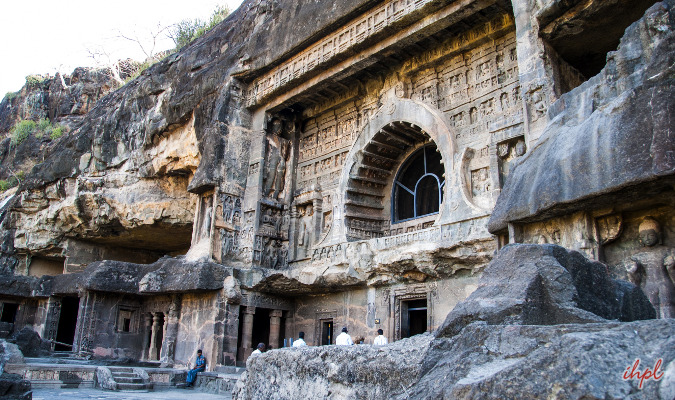 Witness the remains of Ajanta Caves; the World Heritage sites. 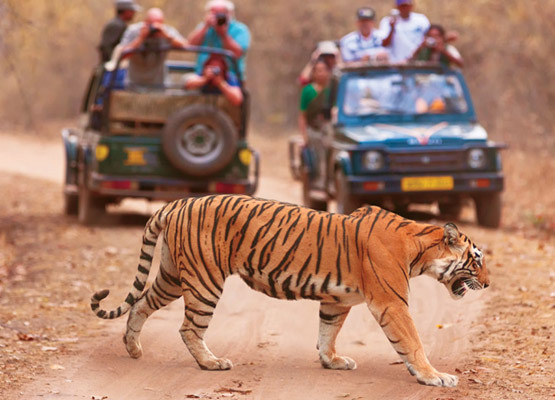 Have a wildlife safari in Tadoba and Pench National Park .